Goa in the rains is idyllic. It’s cool and wet; it’s really green. 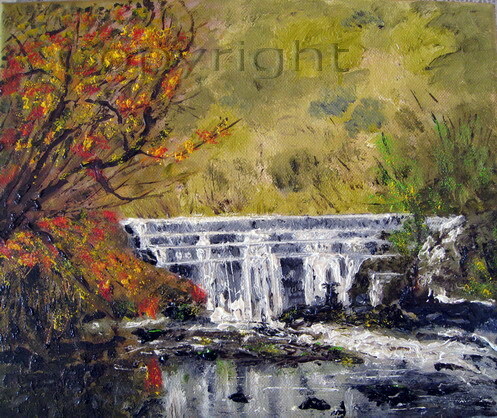 This 10" x 12" oil on canvas shows a waterfall in full spate - part imagination, part reality.